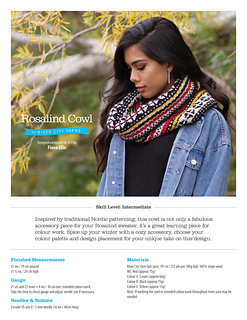 Inspired by traditional Nordic patterning, this cowl is not only a fabulous accessory piece for your Rosalind sweater, it’s a great learning piece for colour work. 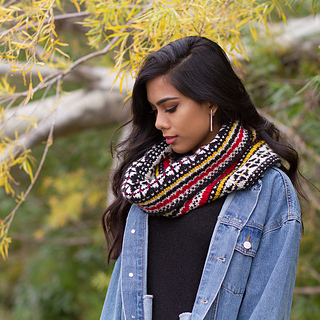 Spice up your winter with a cozy accessory, choose your colour palette and design placement for your unique take on this design. We used River City Yarn Epic; 191 m / 212 yds per 100g ball, 100% virgin wool.